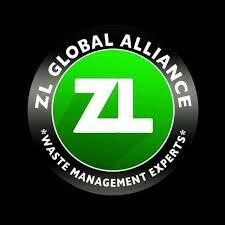 Worried by the increasing spate of unemployment in the country, an environmental waste management company, ZL Global Alliance Nigeria Limited has disclosed that it is recruiting several unemployed youths from Kaduna, Ondo, Lagos and Ekiti States into her services where the company works presently. It would be recalled that ZL Global Alliance Nigeria Limited was contracted by the Kaduna State Government in 2016 to manage her waste in the three senatorial districts: namely Kaduna metropolis in Kaduna central, Zaria in Kaduna North and Kafanchan in Southern Kaduna. in doing their job effectively in all of the states she is engaged presently. Talking about Kaduna State, “We created employment for over 6,000 directly and indirectly involving the youth, women and disabled in the state. “We also helped to safeguard the state through our various activities from flood which normally characterized every rainy season in the state. “We are also replicating same in the states we are working now because we feel as a company which has benefitted from those states, we should also contribute our quota to reducing the unemployment rate in the states, hence we want to recruit into our company youths that will be deployed to areas where we are currently working, to at least fulfil the saying that to whom much is given much is equally expected, “She said.